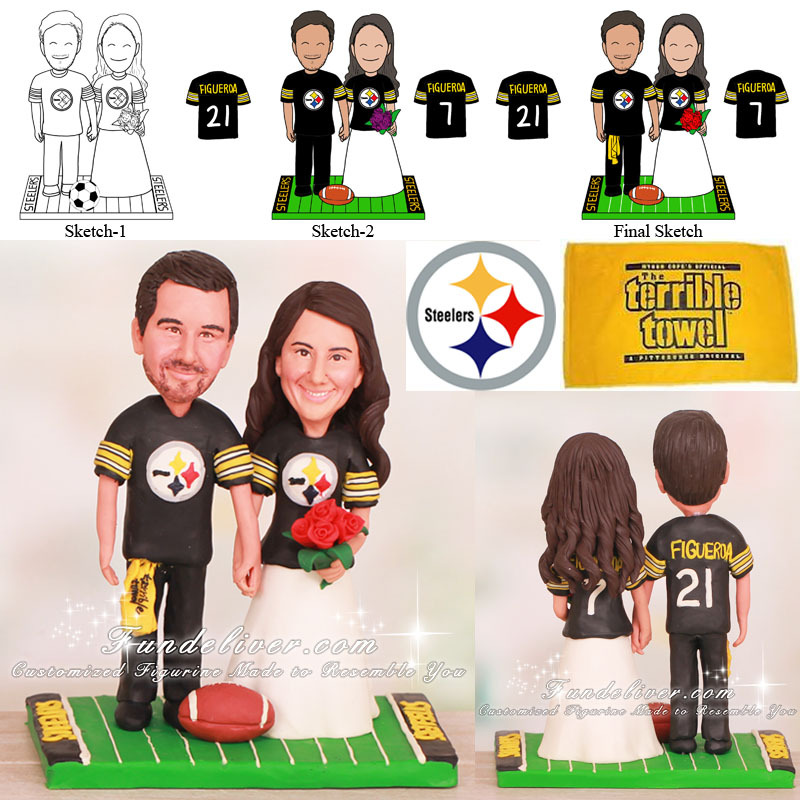 This is a completely customized Steelers cake topper with a Terrible Towel in groom's side pocket ordered by one of our customers. 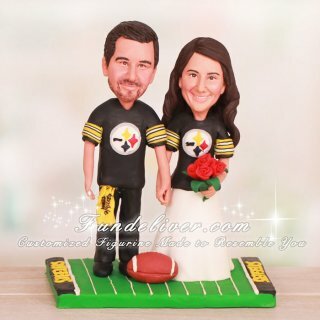 They would like a same design similar to this Pittsburgh Steelers football wedding cake topper, but to change the numbers and names on the jersey to match their wedding. Their wedding date is 7/21, so the number on the back of the bride's jersey is "7" and the number on the back of the groom's jersey is "21". The last name on the jersey is Figueroa. Also they would like to put a football in front on them, sitting on the football field base and add a terrible towel in the groom's side pocket.